We drew inspiration from the likes of Bruno Mars and Michael Jackson but crossbred them with our own breed of future disco & electro to create a library packed full of undeniable groove. Packed full of 24bit funky off beat bass bends, undeniable swinging drums, rich synth stabs, electric synth slides and explosive fx loops. All of our content has been key tagged and expertly programed into loops or one shots for your convenience. 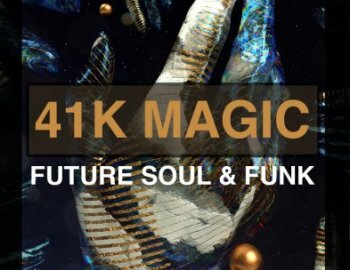 We have created sounds that would fit straight into any Soul & Funk sub genre as well as a whole host of new and innovative sounds that would happily suit other genres like future pop, house, disco and future r&b. If you’re looking to add some groove and funk to your projects then this library is guaranteed to put you in the right direction!